Where: 52nd and Parkside Ave. The UniverSoul Circus will be closing their tents outside of The Mann Center this weekend. The traveling and energetic circus features acrobatics, live animals, clowns, and all the animations you can expect from a memorable show. Don’t miss your chance to see this splendid performance before it’s too late. The One Liberty Observation Deck in Center City is getting into the holiday spirit. Through the end of the month, there will be ugly sweater parties, Grinch meet-and-greets, parties, a candy cane hunt, and much more. Check out the towering building’s’ events for all the fun. There’s only one place where you can see the world’s tallest submerged Christmas tree this holiday season. Christmas Underwater is one of the prime yearly fixtures of Adventure Aquarium each year. Brings your entire family out to visit scuba Santa Claus, hear story time with Santa’s helpers, join the dance parties, and more. The Christmas celebrations keep rolling this month when the Historic Houses of Fairmount Park open their doors for some festive fun. This Saturday from 10AM-4PM at Woodford, Lemon Hill, Strawberry Mansion, Cedar Grove, and Laurel Hill there will be several musical events. Come see talented musicians play along to and sing some of your favorite holiday classics. This Sunday will be Family Day. There will be free hot chocolate, card making, a Gritty appearance, and Christmas characters. Old City will be transformed into a holiday gem over the next few weeks. Shoppers can enjoy extended hours at the shops, special menus at local restaurants and bars, and events at galleries. There will be tree and menorah lightings, decorating contests, wreath parties, live entertainment, craft workshops, and more. The American Swedish Musem will be filled with the joys of the holidays this weekend. This Friday night there will be a traditional Julbord Christmas smorgasbord dinner. 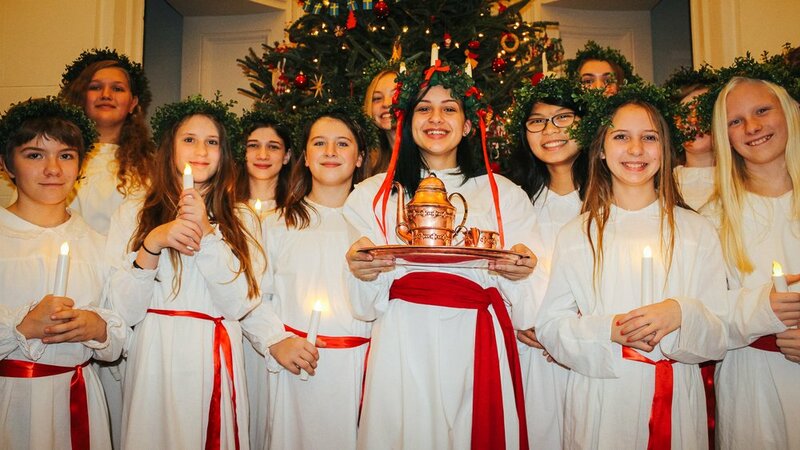 Stop by the Institute on Sunday for their annual Lucia Fest and Christmas Market. PAX Unplugged will be running off and running through the weekend. The national gamer convention will feather panel discussions, demos, tabletop gaming, arcade gaming, and video gaming, Omegathon rounds, and a closing ceremony. BalletX showcases have been highlighting the stage at Wilma Theater for years. The 2018 Fall Series will be rousing audiences with its tremendous movement and dance for the next three weeks. Come out and see Berlin-based Irish choreographer Marguerite Donlon’s World Premiere of The Last Lifeboat, Wubkje Kuindersma’sYonder, and Barcelona-based choreographer Cayetano Soto’s Napoleon/Napoleon. 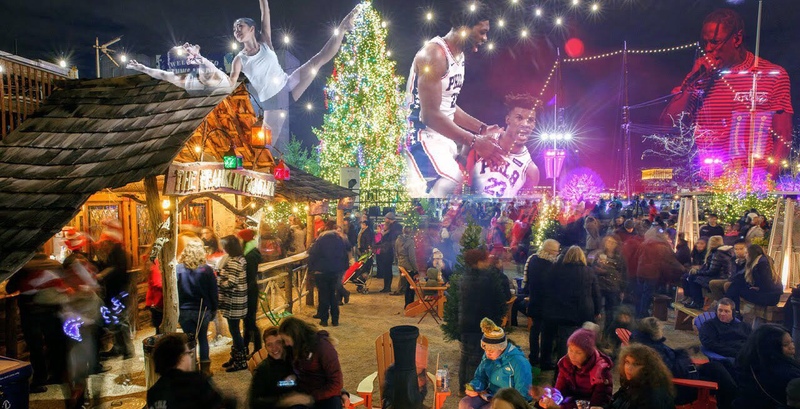 Holiday gem Blue Cross RiverRink will be having its very own special Christmas tree lighting this Friday night. Jackie Verna and Bianca Ryan will be singing the night away with several seasonal hits. The night will culminate with the lighting of a 40ft tall tree. There will many other performances, drinks, beverages, and prizes throughout the night. A Philly POPS Christmas Spectacular Sounds of the Season kicks-off this week. Guest conductorTodd Ellison and the POPS orchestra will be filling Verizon Hall with wondrous and beautiful holiday tunes through the first three weeks of the month. The surging Philadelphia 79ers will be playing two home game this weekend. This will finish off a tremendous 3-game home swing. Jimmy Butler, Joel Embiid, J.J. Redick, Ben Simmons, and company take on the Wizards on Friday and the Memphis Grizzlies on Sunday. Historical avenue Elfreth’s Alley will be transformed for the merry holiday. This Saturday evening join Santa Claus, colonial dressed carolers, traditional loom weavers, and more at this treasured location. There will be twinkling holiday lights and plenty of art pieces up for sale within the museum store. The Pennsylvania Academy of Fine Arts (PAFA) will be hosting a collective shopping experience this Saturday and Sunday. Gifted: A Handmade Holiday Market will showcase the various works of 75 specially picked artisans. These are one-of-a-kind and handmade pieces that make great sentimental gifts during the holiday season. Shopping and gift giving is truly the name of the game over the next coming weeks. Stop by the Bok building this Saturday for the Libert Flea market. There will be several tremendous antiques, collectibles, candles, jewelry, art, and more up for sale at this fantastic shopping gathering. The Walnut Street Theatre will be performing the seasonal classic A Christmas Carol through the end of December. Come see these talented and wonderful performers liven up the theater and let them warm your heart with the Ebenezer Scrooge centered tale. The tale as old as time and song as old as rhyme, Big 5 basketball will be taking over the city this weekend. First La Salle vs. Villanova will be tipping off at 3 pm and later in the evening St. Joseph’s vs. Temple will be battling it out at 5:30 pm. Don’t miss your chance to see the next chapter in the rivalries that make Philly basketball so great. Where: XFINITY Live!, 1100 Pattison Ave.
XFINITY Live! will be hosting their annual seasonal race and drinking event this Saturday. The Jack Daniel’s Hot Toddy and 5K will give contestants a free cotton race shirt, a drinking mug, and one free Hot Toddy made with your choice of Jack Daniel’s Tennessee Fire, Jack Daniel’s Tennessee Honey or Jack Daniel’s Original No 7. Registration for this event ends this Friday, November 30th at 6 pm. Travis Scott will be bringing one of the biggest tours of the year, supporting one of the biggest albums of the year, to the Wells Fargo Center this Saturday night. The Astroworld Tour will be taking over the South Philadelphia arena and filling it with hits like “Sicko Mode”, “Butterfly Effect”, and more. The Philadelphia Museum of Art and The Barnes Foundation will be having their monthly pay-what-you-wish and free admission Sundays this weekend. The Barnes features PECO Free First Sunday Family Day: She Creates this weekend. There will be storytime, a panel discussion on women in film, a dance performance by Choreographer Annielille Gavino, and much more. Come out and see some of the biggest names in art at these globally and world-renowned institutions. Focusing on guests with special needs, this Sunday is Sensory-Friendly Day at several institutions in the city. The Franklin Institute, Please Touch Museum, and the National Museum of American Jewish History will all be featuring tremendous activities and programming for the whole family.